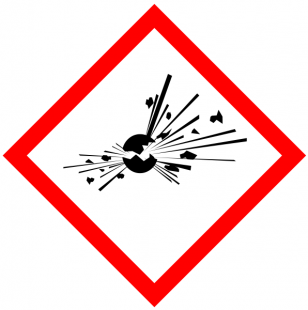 The switch from country-specific hazardous materials labeling, standards, and training to the UN GHS (Globally Harmonized System of Classification and Labeling of Chemicals) can be confusing. What are the deadlines for changes and what can you expect? GHS, as an internationally agreed upon system, supercedes programs in place in individual countries. In the U.S., OSHA (Occupational Health and Safety Administration) will modify practices to fit the GHS; in Canada, WHMIS and TDG will be modified by CCOHS (Canadian Centre for Occupational Health and Safety). European Union standards have already been changed to meet GHS criteria by the CLP Regulation. Before GHS, labeling systems varied greatly by country. Labels are standardized under the GHS. Format for the new GHS labels using fictitious chemical names. December 1, 2013 – Train employees on the new label elements and SDS format. June 1, 2015 – Comply with all modified provisions of the final rule, except December 1, 2015 – Distributors may ship products labelled by manufacturers under the old system until December 1, 2015. June 1, 2016 – Update alternative workplace labelling and hazard communication program as necessary, and provide additional employee training for newly identified physical or health hazards. Transition Period – Comply with either 29 CFR 1910.1200, or the current standard, or both. Draft regulations will be proposed in Spring 2013, with final regulations published in early 2014. Health Canada’s goal is to have the updated WHMIS laws in force by June 2015. Provincial and territorial WHMIS regulations will also require updating – expected update by June 2016. GHS has been adopted into the new EU Classification, Labelling and Packaging (CLP) regulations (as of January 20, 2009). Pure substances by December 1, 2010. Mixtures by June 1, 2015. Two-year transition period for existing products labelled and packaged according to EU Directives (67/548/EEC and 1999/45/EC, both as amended). Elsewhere in the world? Find relevent GHS implementation for other countries. Need training? OpenSesame has Hazardous Materials Training, WHMIS training, and OSHA training to meet your needs.